In May, after several rounds and many years of drafting, editing, and consideration, the California Supreme Court approved comprehensive changes to the Rules of Professional Conduct governing lawyers in California to take effect on November 1, 2018. These significant changes bring California rules more in line with the rest of the country. Here are some highlights of the new rules. New Numbering. The most obvious change is that the new rules adopt the numbering system used by the ABA Model Rules. This will require some adjustment for most California lawyers, who likely haven’t worked with those rules since law school. Fee Divisions Among Lawyers (Rule 1.5.1). Unlike the existing rule, which allows client consent at any time before the point lawyers not in the same firm actually share fees, the new rule requires that the client must consent in writing to that fee division either when the lawyers reach their fee sharing agreement, “or as soon thereafter as reasonably practicable.” This applies to both referral fees and joint counsel fee arrangements. Client Trust Accounts (Rule 1.15). New rule 1.15 requires that “all funds received or held by a lawyer or law firm for the benefit of a client” be deposited into a client trust account maintained in the State of California. Under the existing rule, advances for fees (as opposed to costs) don’t have to be in the trust account. The new rule has a limited exception for flat fees paid in advance: if the client consents after disclosure, that fee may be deposited into the lawyer’s operating account. Responsibilities of Managerial and Supervisory Lawyers (Rule 5.1). California lawyers who act as managers or supervisors will now be subject to specific responsibilities under new Rule 5.1. (The current rules don’t have such express requirements.) Such lawyers must make “reasonable efforts” to ensure that the lawyers she supervises comply with their ethical rules and the State Bar Act, and may be responsible for other lawyer’s breaches of those duties. Prospective Clients (Rule 1.18). 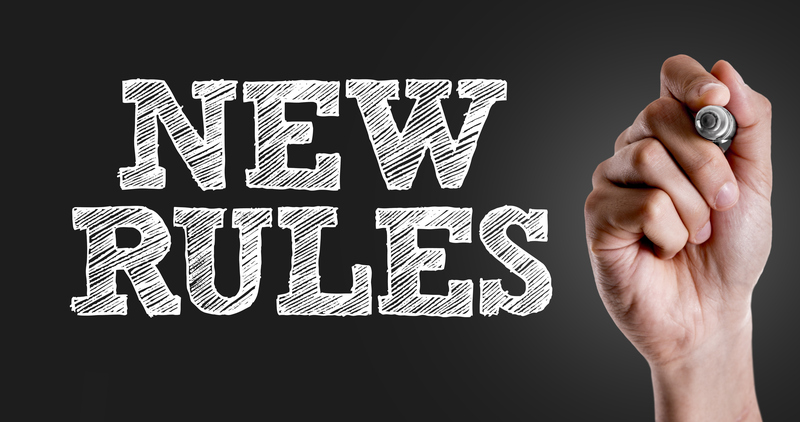 The new rules address duties to a prospective client, an issue not addressed in the current rules. Rule 1.18 provides that a person who consults a lawyer for the purpose of retaining or seeking legal advice or services is a prospective client. Even if no representation results, the lawyer may not use or reveal confidential information provided by the prospective client and must treat that person similarly to a former client. Of note is that the conflicted lawyer may be screened from the new matter that is adverse to the prospective client. Conflicts of Interest (Rules 1.7-1.11). The new rules scrap the existing “checklist” approach to conflicts, and use (with some important differences) the Model Rules formula for identifying conflicts (the “significant risk of material limitation” test). The conflict rules are complex, so lawyers should spend some time to be sure that they understand how these may apply to their own practices. The new rules are available on the State Bar’s website. Don’t miss Ms. Baldwin discussing the rules in CEB’s webinar The New Rules of Professional Conduct: What All Attorneys Need to Know on October 9th at noon.